One Roof reflects the love and vision of psychotherapist Dr. Selma Nemer. The night she drove past an aging and worn Victorian house for sale at 58 Henry Street in downtown Saratoga Springs, she knew with unyielding certainty that her dream to create a holistic health center would take root inside those walls. 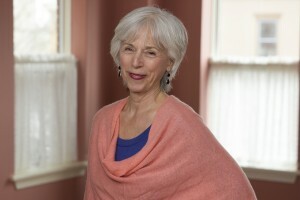 As she lovingly transformed the building (formerly owned by a gospel church that once used the home as a seminary and shelter), she grew a circle of experienced practitioners who would come together under one roof to provide a range of healing modalities and eagerly become part of something bigger than themselves. As a result, the depth and breadth of the services found at One Roof are unmatched in our community. At One Roof, practitioners clearly understand that in addition to words, touch can deepen healing, and there are many ways to become whole again. Here specialists intuitively know and openly support their clients working with other practitioners to discover new paths to wellness.